* Notice - Please contact us for wholesale and tax-exempt pricing. We will verify your information and exemption status before you can access special pricing on our website. Please register below and let us know that you are requesting wholesale pricing. Ilco GT15RDT5-SI Transponder Cloneable Key Blank; Peugeot, Derbi, Piaggio And Vespa. Ilco CE4 Key Blank : Ford Eng. Ilco 63VO Key Blank : N.S.U. 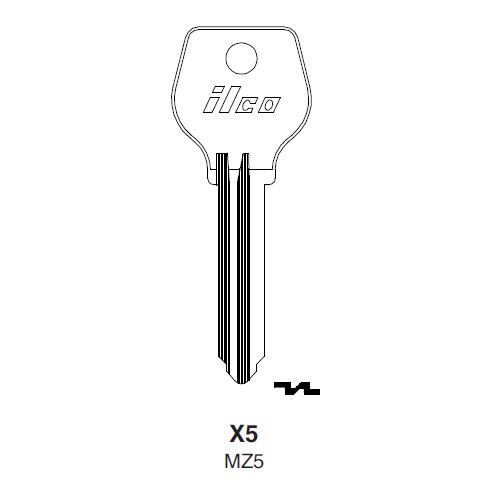 Ilco R62DH Key Blank : Audi, B.S.A.